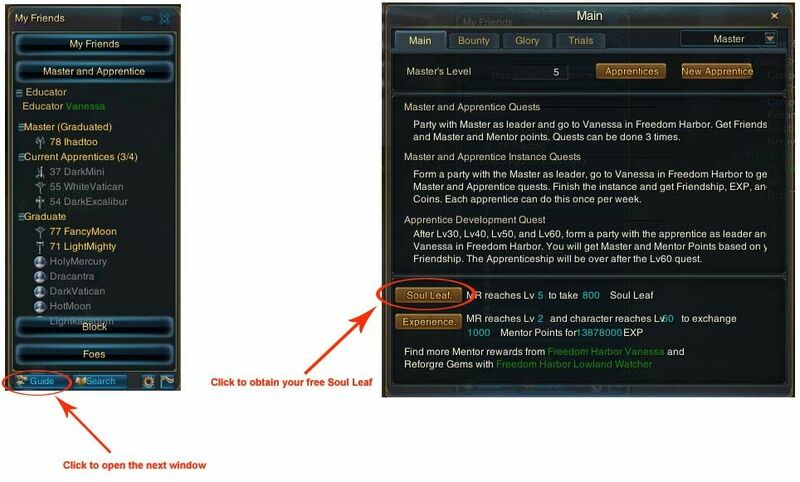 The following is what you can obtain free Soul Leaf from Master / Apprentice Sys. ps. 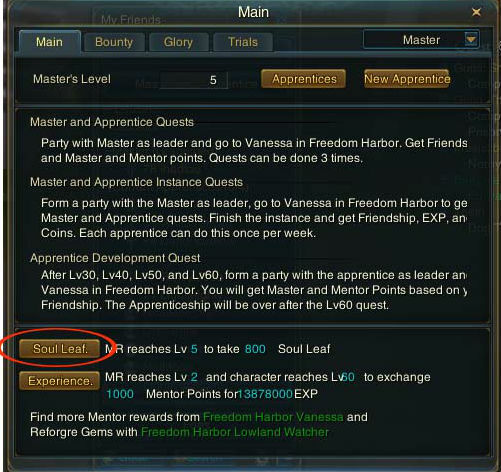 Other method of obtain Soul Leaf is may drop Soul Leaf Pack by boss in certain instance. Below the "Soul Leaf" that "Experiece" i suggested not to use, coz it cost too much Mentor point which is very not worth. Thos Mentor point can be save for a Mount Combat Licence 2 is way much worthy.